Always on the search for innovation, Dre Nathalie Bouchard is constantly perfecting her expertise, in order to offer clients state of the art dental science. Teacher, clinician and lecturer in implant surgery and in implant-supported prostheses at the Institut canadien d’implantologie. 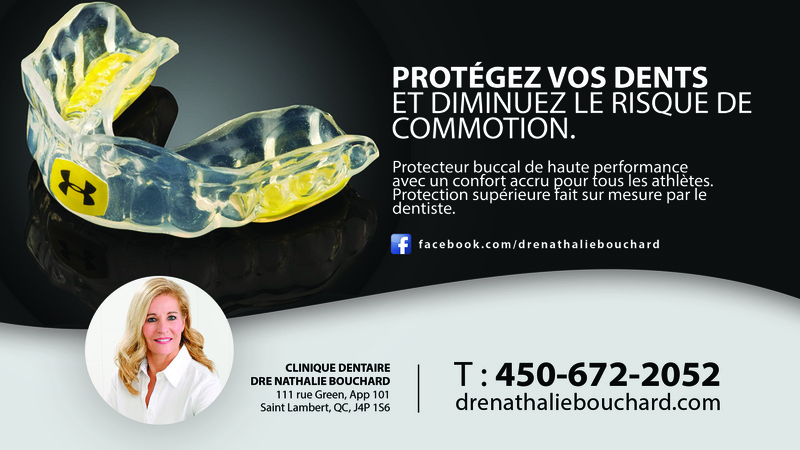 Located in Saint-Lambert, near downtown Montréal since 1986, Dre Nathalie Bouchard’s dental clinic offers you a complete range of high-quality services in dentistry, all under the same roof. Dre Nathalie Bouchard’s team welcomes you in a warm atmosphere and a climate of trust. Thanks to several years of experience, these skilled professionals are able to offer you a state of the art expertise and personalised care. Always listening, they will advise you according to your needs. The Bouchard clinic’s motivation is to see its patients flaunt their beautiful smiles: harmonious smiles and healthy mouths.